What to do with Rotten Plywood? Like all wood products, plywood is subject to decay. This decay is usually caused by wood-eating fungi, which are activated by the presence of water. Wood can also rot due to wood eating insects getting inside the walls of a home. Regardless of the cause, the rotting weakens the structure and must be repaired as soon as you become aware of it. 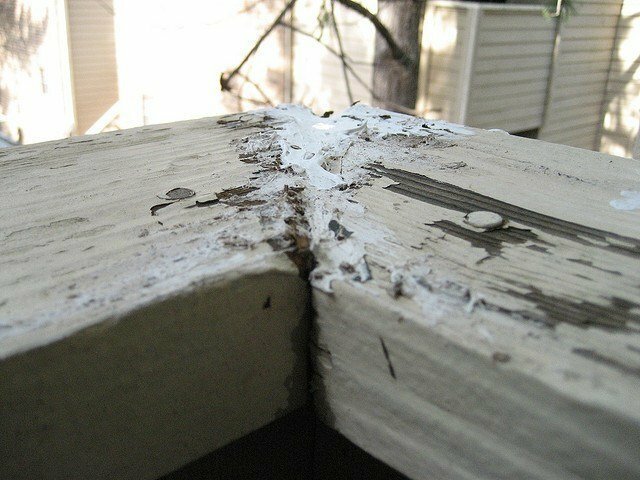 There are two basic ways of repairing rotten plywood, by replacement or by treating it with epoxy-based compounds. The decision usually comes down to one of cost, with larger repairs requiring replacement, rather than repair. The first thing to do is to identify the extent and source of the damage. With rot caused by fungi, this means finding the source of the water which makes it possible for them to eat the wood, not the fungi itself. Without moisture, the fungi become dormant and will not damage the wood. Keep in mind that water may enter the structure far from where it actually causes the damage. Water can run down roof trusses or other members for a considerable distance, once it gains access to the home. For large damaged areas, the entire area of the damage will need to be exposed. This may require the removal of siding or roof shingles. Be sure to find the full extent of the damage, so that it can all be replaced. Plywood replaced in this manner must be cut so that the edges can be attached to roof trusses or studs in the walls. Take care in removal of roofing shingles or siding to expose damage. You will want to reuse these, so that your home looks consistent when the repair is finished. Pry the edge up around nail, pulling the nail free of the shingle or siding. By avoiding ripping or breaking the materials, you will be able to reattach them. Once the damaged area is revealed, it can be cut out and a new piece cut to replace it. Be sure to use the same thickness of new material, as that being removed, so that the siding or roofing can sit flat. The edges of plywood are especially susceptible to rotting, as the water will wick up the end grain of the wood. Therefore, it is not unusual to need to make repairs to the edges of plywood structures, even though the rest of the structure is in good shape. In this case, it is necessary to remove any paint and sealer applied to the wood, so that the wood itself is exposed. Repair is accomplished through the use of epoxy penetrants and epoxy filler. Epoxy penetrants are two-part low viscosity epoxies, formulated for maximum penetration. They have a long working time, allowing them to be brushed and rolled into all the crevices of the wood. From there, they will wick into any open pores, cracks or fissures, totally coating the exposed wood. This seals and strengthens the wood, actually making it stronger than it originally was. Once the epoxy penetrant has been applied and allowed to cure, epoxy fillers can be used to restore any rotted away areas of the wood, returning the appearance to new. 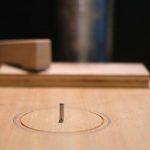 This is especially useful in areas where ends of the plywood have rotten away, leaving gaps between pieces of on an edge. The filler also works as an adhesive, when used for connecting additional pieces of wood. In either case, it is important to properly finish the repaired structure, whether by reapplying shingles or painting the structure. The purpose of paint in architecture is not so much to provide beauty, as to provide a waterproof covering for the materials used. As a waterproof coating, it is important to apply enough paint, or enough coatings of paint, to totally fill the surface.